How much will my transmission cost? What is the life expectancy from a transmission? Transmission fluid is checked differently for many of the different manufacturers. This list is not intended to explain every make or model’s unique procedures, only to offer suggestions. Any time your transmission leaks, the fluid NEEDS to be checked. Transmissions don’t USE any fluid, they only lose fluid through leakage. Come see us if you have any questions about your transmission’s fluid quality or levels to be sure. Most older GM vehicles have a dipstick installed into the filler tube. When the transmission fluid is low, fluid must be pumped or poured down the dipstick to fill to the proper level. These transmissions normally will have two lines, separated with cross hatch marking. The proper fluid level, when warmed up and checked in the park position, will be between the two lines. Operating temperature is approximately 190 degrees fahrenheit and if you hold onto the stick with your fingers, it will be hot to the touch. Many of the later GM cars no longer have a dipstick and filler tube. 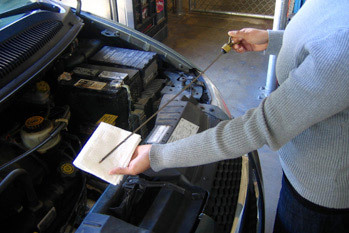 These systems require the vehicle to be on the lift (level) and require the temperature to reach a proper level (as read by a scanner) in order to accurately set the transmission fluid level, then a plug is removed to adjust the level. Unfortunately these vehicles will require a phone call or a visit to tell for sure. Older GM cars and trucks use Dexron lll fluid, and newer models use Dexron Vl fluid. In most cases Dexron Vl can be used to service older units as well. All older Chrysler or Dodge cars or trucks require the transmission be in NEUTRAL to accurately check the level. They still should be warmed up to about 190 degrees fahrenheit and normally will have to lines on the stick. The level should fall in between the lines when warm. Many newer trucks and cars you check the same way. Mitsubushi is also checked this way. Minivans can usually be checked in park, after warmup. Many later model Chrysler products no longer have a dipstick. They will typically still have the filler tube, but the manufacturers no longer supply the stick. 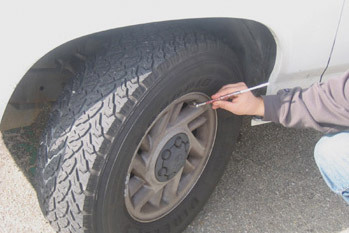 In these cases, the stick is considered a tool and shops need to buy it to check the fluid. The transmission fluid temperature must be verified with a scan tool and then the tool measures the level against a chart which shows the level at varying temperature readings. Mercedes Benz transmissions are also this style. Older Chrysler car and trucks use Dexron lll fluid, and most newer units use ATF+4 fluid. In most cases ATF+4 can be used to service older units as well. Older Ford vehicles are checked in Park, once warmed up. As always the level should be between the lines once it is warmed up. Newer Explorers and other models no longer have a dipstick or filler tube. The fluid level on these units require the vehicle to be up on the lift and the fluid temperature needs to be verified to make sure it is between certain temperatures and a plug is removed to adjust the fluid level. Modern Ford transmissions require appropriate fluids and in some applications if you use the wrong fluid the transmission will fail! Fords you need to check the manufacturer recommendations as cars and F150s use Mercon V but F250s could have Mercon or Mercon V and 6 litre diesels MUST use Mercon SP or LV fluid. Import cars and trucks require specific fluids in their transmissions. When the engineers design and build modern transmissions, they match the internal clutch plates and band materials with the proper fluid. Different fluids have different coefficients of friction, as well as shear properties among others. Changing the fluid type can have a drastic effect on shift quality and may cause shudders, noises, or other characteristics not desired at all! On Honda vehicles you check the older ones at operating temperature and shut off the engine. You need to check the fluid level engine off within 1 minute of shut off. On newer Hondas and Acuras you check the level in Park with the engine running. Most imports that have a dipstick are checked in Park or Neutral with the engine at operating temperature and running. If there are any questions, we always check the level while in Neutral…but make sure the park brake is on or the wheels are blocked! This is a really, really, tough question to answer. Some places will just quote for a remanufactured transmission installed, or maybe a used transmission installed. At B&M Transmission and Car Care Centre we offer more choices than just that. We have been repairing, servicing, adjusting and replacing transmissions for more than 45 years! We offer complete in house rebuilding and by doing that we can control quality and in many cases improve durability and remove factory defects in the process. Not all places can offer that, and we have been doing it for about a half century!! Typically when a client brings their car or truck in for repair, we will check out the problem first. After all, the most expensive transmission is the one you did not need in the first place!!! After a thorough inspection, we will then remove the transmission and disassemble it to find out what the failure was and WHY the transmission failed. By doing this, we can not only repair the damage but can also make adjustments or recommendations on how to make the replacement or reconditioned transmission last longer and in many cases we can put in better quality parts to improve the durability and longevity of the transmission. We will typically provide the client with at least 2 different estimates – one for repairing the damage to the transmission and re using good pieces, and another one for completely reconditioning the transmission. Repairing the transmission entails complete disassembly of the transmission and cleaning all the parts. 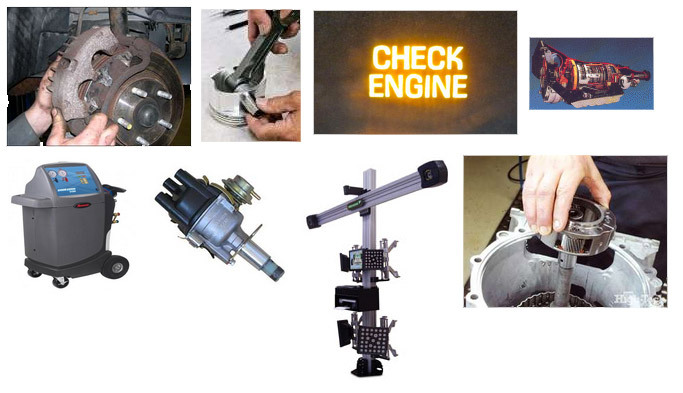 We then would inspect all parts and determine the faulty parts and the CAUSE of the failure. We report to the client and if approved, replace all the gaskets, seals, and faulty parts as necessary to get the transmission back to proper operating condition. We would re- use any parts which we deem to expect normal operation and life expectancy…after all we look at transmission parts and pieces all day long – everyday. This type of repair when carried out in our shop would carry a 1 year/20,000km warranty (whichever occurs first). Reconditioning the transmission would require complete disassembly and cleaning of the transmission, thorough inspection of all the parts to determine the CAUSE of the failure, and thorough inspection of the valvebody’s valves and solenoids. We would then report to the client and if approved, we replace all the gaskets, seals, sealing rings, metal clad seals, clutch friction plates, dynamic bands, torque converter (remanufactured or new), pressure control solenoid, we also make durability enhancements, correct factory defects, install upgraded parts, and make recommendations for on-vehicle improvements to get the maximum life and shift quality out of your transmission. This job typically carries a 3 year/85,000km warranty with extended warranty up to 5YEAR/100,000KM available!!! With multiple choices available for each vehicle and transmission, it becomes better for the customer to explain all choices for their situation. We feel our job is to inform the client of all the information about the problem at hand we can, educate them on choices available, and then let the owner of the vehicle make the choice that is best for them. It is in this way that we feel we are “Geared to YOUR needs!”. Call today for an appointment or visit us at 1400 Battle Street and we’ll be happy to check your car out and explain your options. Modern vehicles are lasting longer and are more dependable than their predescessors. Among the major components is the transmission. Although engineers are trying to manufacture a vehicle that its components last long past warranty, many times the components fail – sometimes prematurely. When a transmission, for example, fails while on warranty (up to 60,000km) you can be quite sure there is a part quality or design problem. Sometimes the manufacturer themselves comes out with an updated part which is designed to improve durability. Other times they change designs of components to better satisfy the customer. B&M Transmission and Car Care Centre subrscibes to many different on-line databases and resources which allows us to research the latest parts and information designed to make the transmission last longer. We also attend yearly technical seminars and receive monthly trade magazines which supply us with the industry’s best solutions to tough transmission problems. Although we would love the transmission to last all our lifetimes, that is unrealistic. By using the highest quality parts we can, along with the latest fixes and solutions to the root causes of the failure, we feel our transmissions are capable of lasting far more than 100,000km. That is why we offer a warranty of up to 5 years/100,000km. Not many transmission shops will feel comfortable enough to off this long of a warranty. Dealers such as Ford, GM, and Dodge also do not offer a 5 year warranty (GM and Chrylser offer 3 year and Ford offers 2 year). Imports dealers like Honda, Toyota, and Nissan don’t even come close (most offer 1 year only). Maybe you just spent a lot of money having your transmission replaced. Or maybe someone else you know did. Whatever the reason, you’d like to avoid major transmission repairs in the future. 4. Add a Transmission Cooler — If you travel a lot in extremely high temperatures or carry a lot of weight in your car or truck, an auxiliary transmission cooler is a great way to reduce heat and add years to your transmission’s life. For decades, B&M Transmission has offered expert service, adjustments, and repairs to all transmissions both import and domestic. Electronic transmissions, 4 wheel drive transmissions, front wheel drive transmissions – you name it. If it has gears, we likely can fix it and have been doing so for more than 45 years. Since 2011, B&M Transmission and Car Care Centre has been offering other repairs as well. Full general automotive repairs, electronic diagnosis and repair, engine repairs, tune-ups, differential rebuilding, transfer case rebuilding, full maintenance including cooling system flushing, expert transmission service, engine oil changes, steering and suspension…pretty much everything ‘cept body and glass. Included in our services is computer reprogramming! This allows the latest factory information to be programmed in your vehicles’ computer. Some problems can only be cured using this state of the art scanning and programming equipment. 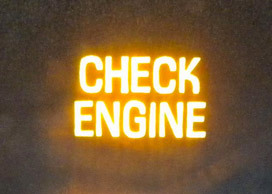 When your vehicle’s computer recognizes a problem, it lets you know by turning on the check engine light or flashes the OD off light or turns on other malfunction indicator lights. When this occurs it is important to have it checked right away, some problems are minor in nature and easily rectified. 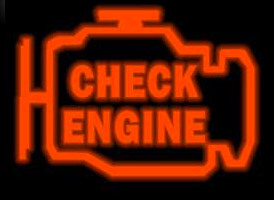 One example might be when you forget to install the gas cap or don’t tighten it completely, it will turn on the check engine light. A quick scan, tighten the cap and clear the code fixes this example. There are many reasons a light might come on. Some not so bad, some bad. A good quality scan tool is required to properly diagnose why a light came on. Even if the light came on and went out, there may be diagnostic information stored in history. The friendly and professional staff at B&M Transmission and Car Care Centre can efficiently and effectively diagnose why the light came on. Our technicians can find the cause and remedy the situation on all your computerized systems on your vehicle. Many times the problem can be resolved quickly and inexpensively. In order for your car or truck’s computer to run as efficiently as possible, there needs to be no codes stored. Modern computer systems may allow the engine to run fairly normally, although fuel economy may suffer greatly. Using extra fuel contributes to pollution and can empty a wallet in a hurry. Give us a call at 250-374-4727 or visit us at the corner of Columbia and Battle Street to find out why your light is on today.